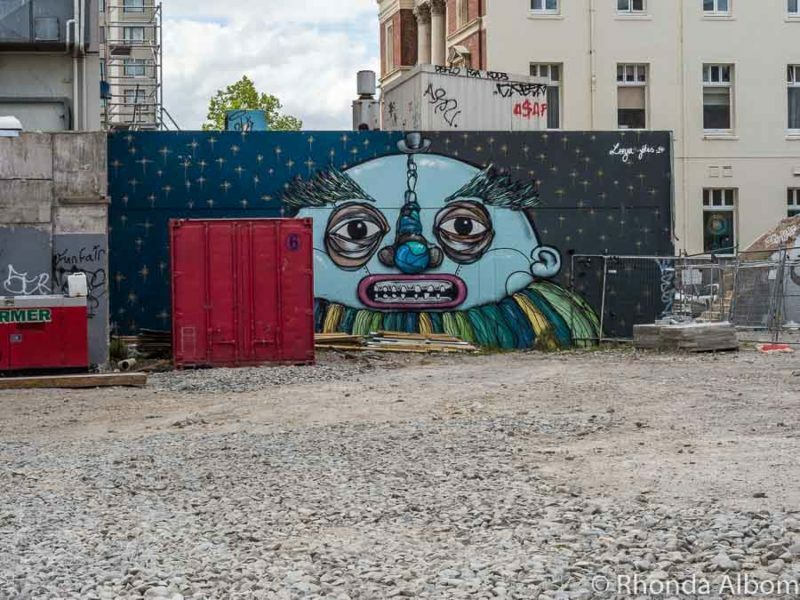 Christchurch Street Art is a colourful distraction from the vacant lots and surviving earthquake damaged buildings that seem to plague much of the downtown area. 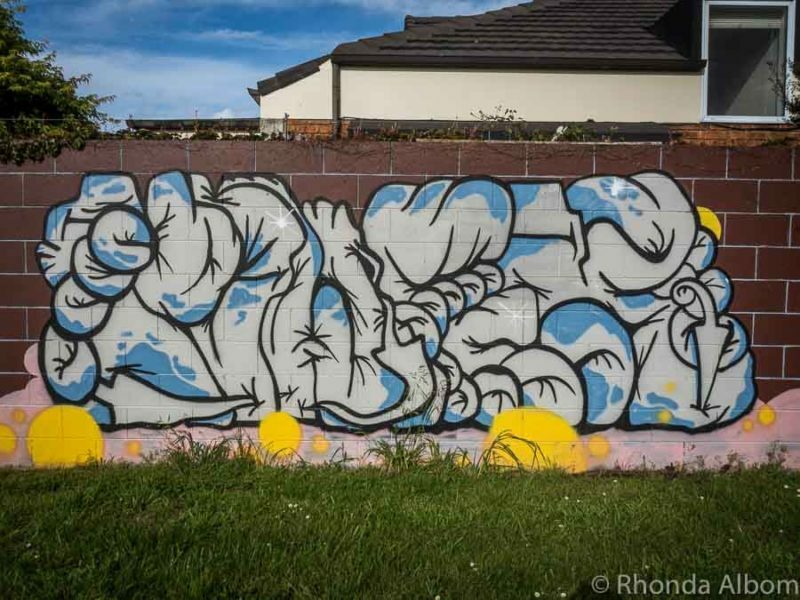 It’s as though New Zealand’s third largest city is a blank canvas to be painted. NZ street artists have flocked here to take on the challenge of revitalising and brightening this historic destination. 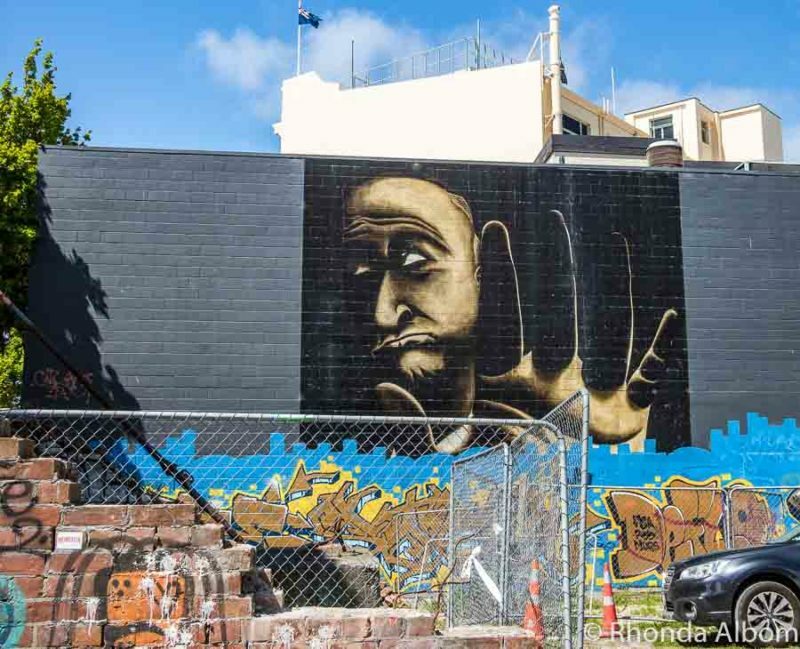 We went on a self-guided city street art walk (similar to what we have done in Auckland). 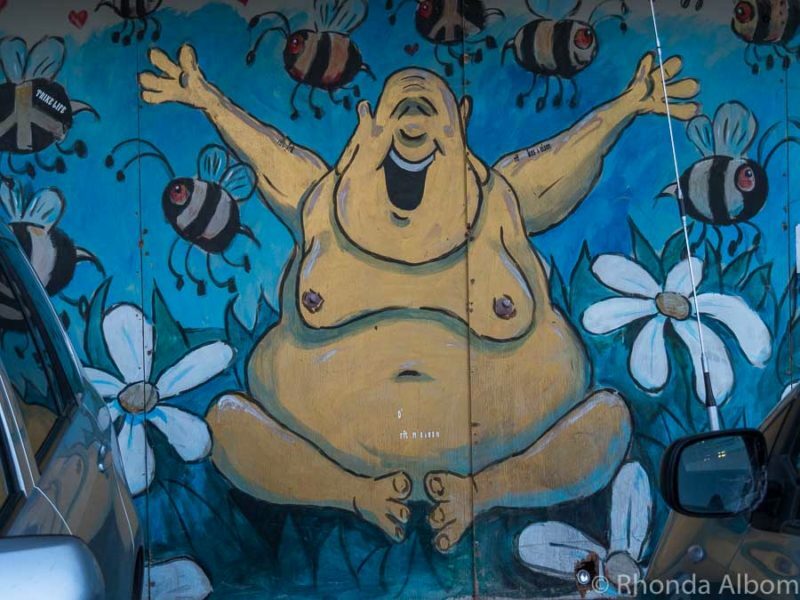 Below is what we consider to be the best of Christchurch street art. I have identified the artists where I knew them. Cookie Monster always makes me smile. Doesn’t he look great on the wall in the empty lot on Hereford Street? I can’t find the name of this artwork by Melbourne artist Rone, commissioned in 2014. 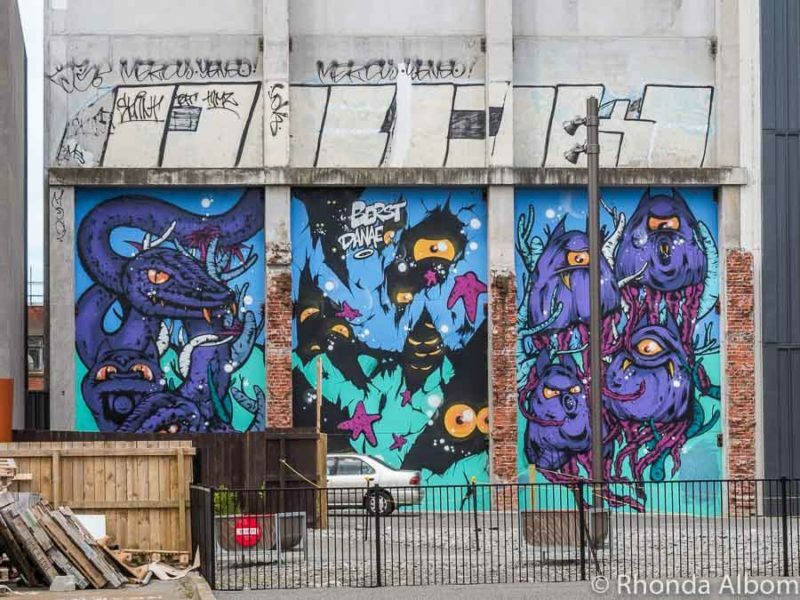 Christchurch New Zealand is one of 42 cities featured in Lonely Planet’s new guide to global Street Art book. Created by contemporary street artist Sofles. This work is based on the painting: No! a 1971 oil on canvas by Tony Fomison. 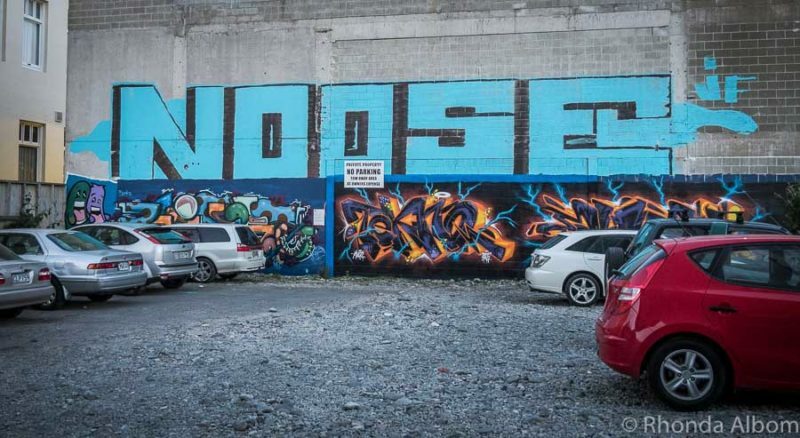 This piece of colourful art by Leeya and Yikes is brightening up an empty lot. Maori and Pacific mythology and narratives are the inspiration behind this mural by artist Berst, painted in 2015/16. Like much of the street art, this happy fellow is on the back wall of a car park. I spotted him between two vehicles. Graffiti street art, the piece in black a commissioned work from 2017. The Brockworth Street Art Gallery is a series of murals that alongside a footpath paralleling the railway line from Riccarton Road and goes to Brockworth Street. Another mural from the Brockworth Street Art Gallery. If you have a smartphone or tablet, it’s an easy way to create your own self-guided tour. 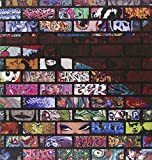 The question we pondered as we put together this collection of graffiti and street art: What is street art? Like many subjective questions, there are multiple answers. Most definitions suggest the essential elements are that it is artwork created in a public space, and typically without official permission, although lately many cities have commissioned both local and famous street artists to create original street art. 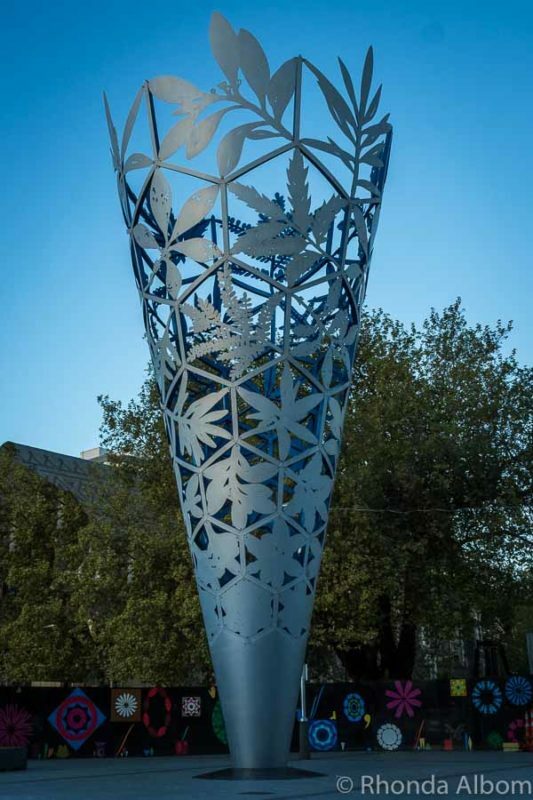 Chalice by Neil Dawson, unveiled and lit for the first time Sept 10, 2001, to mark the 150th anniversary of the founding of Christchurch and Canterbury and the new millennium. It’s an icon of the city. 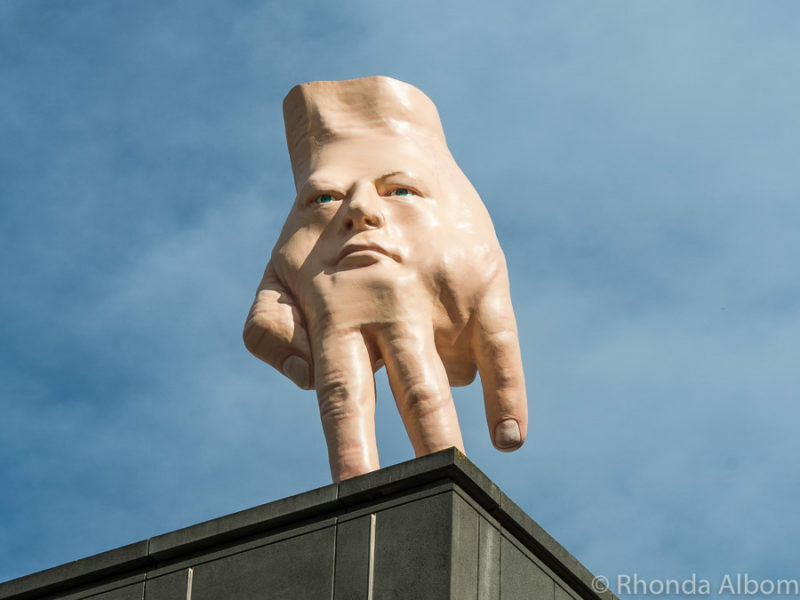 A self-portrait, of sorts, Quasi is the “giant” hand of the artist Ronnie van Hout. It stands on the roof of the Christchurch Art Gallery Te Puna o Waiwhetu. 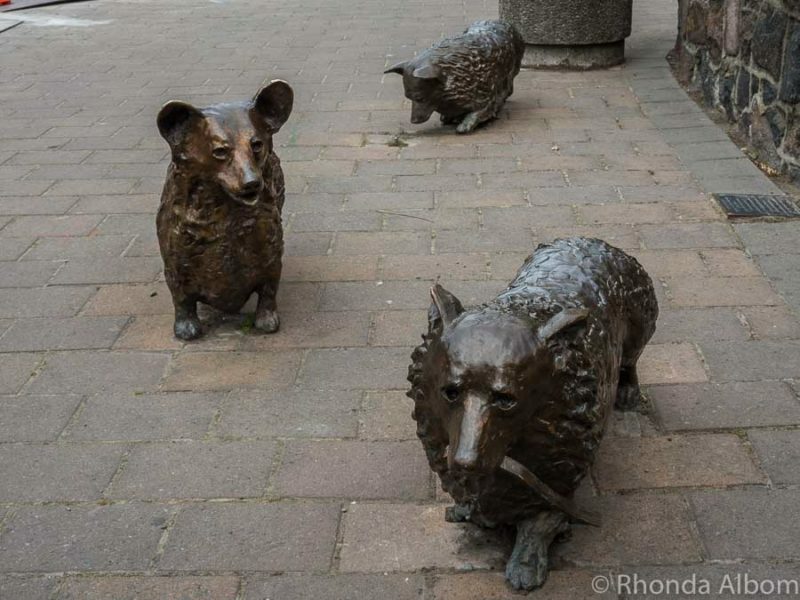 These three life-sized Corgi bronze statues were displayed to mark Queen Elizabeth’s golden jubilee. (She is the Queen of England, as well as New Zealand). One was stolen after the earthquake in February 2011 and ultimately remade. They are on High Street outside the eclectic coffee shop, C1 Espresso cafe. What about this public art? Do you consider this Glass Pavilion or the seemingly random giant set of living room (or library) furniture to be street art? The Glass Pavilion 2017 by Auckland artist Gregor Kregar. Built from handmade bricks, recycled wood and repurposed neon. 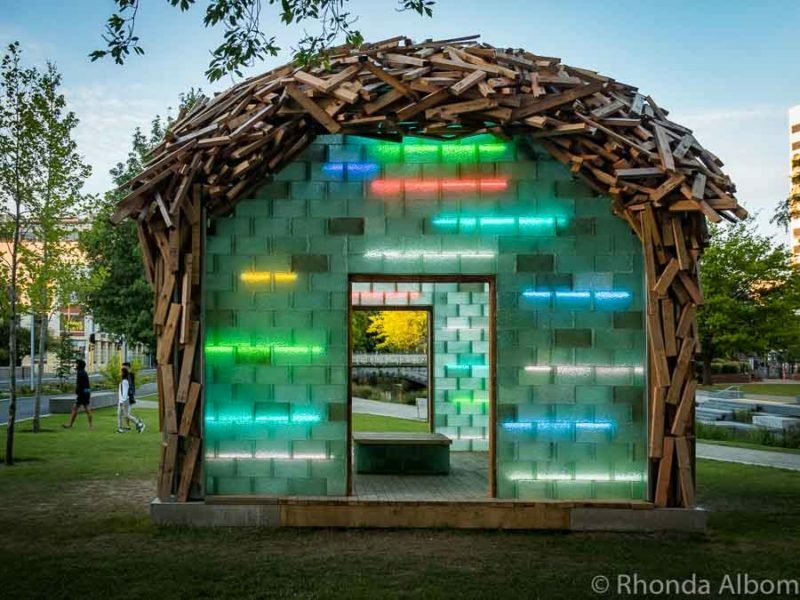 It pays homage to the fortitude and resilience of the Christchurch communities, highlights repurposing, and encourages creativity. 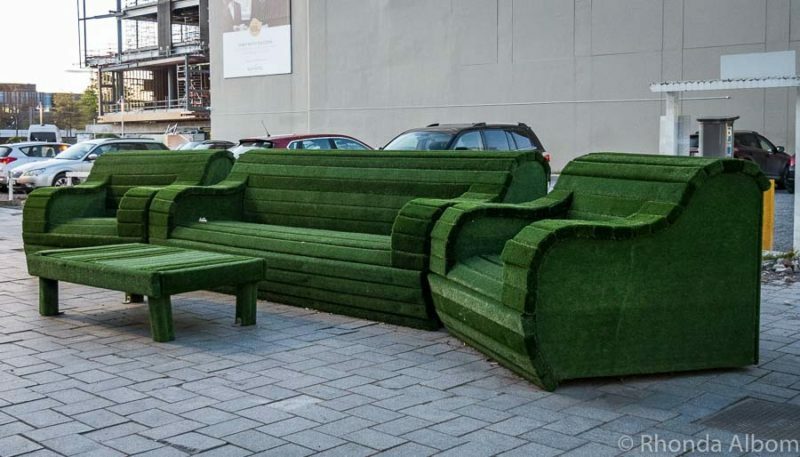 The Green Reading Room is a public artwork of giant furniture on Gloucester Street. It’s a Christchurch City Council initiative adjacent to the 2013 proposed new central library site. We stayed at the Crowne Plaza in Christchurch City, which is walking distance to most of the artworks on this page. The spacious rooms are modern and the food outstanding. Huge suites include washing machines and kitchens. Want more street art? 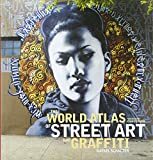 Don’t miss these collections of street art from around the world: Asia, New Zealand and Australia, Europe, Canada and the United States, and Central and South America. 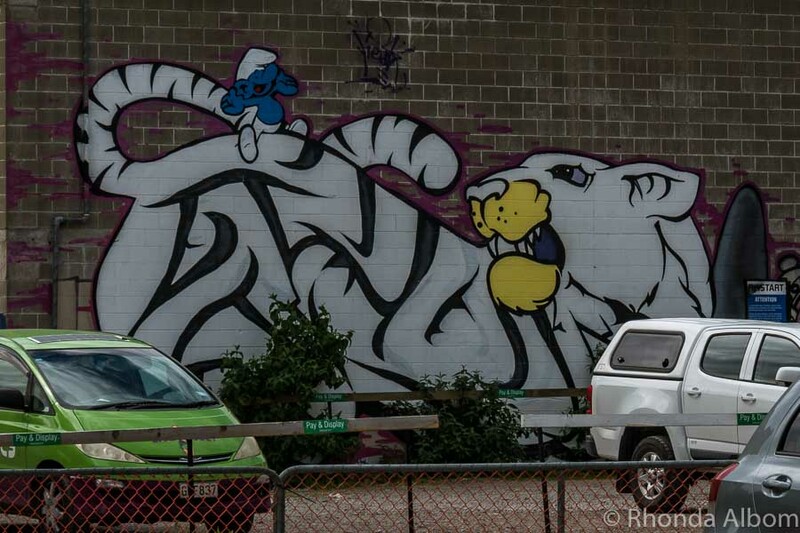 What do you think, do the sculptures belong with this collection of Christchurch street art? 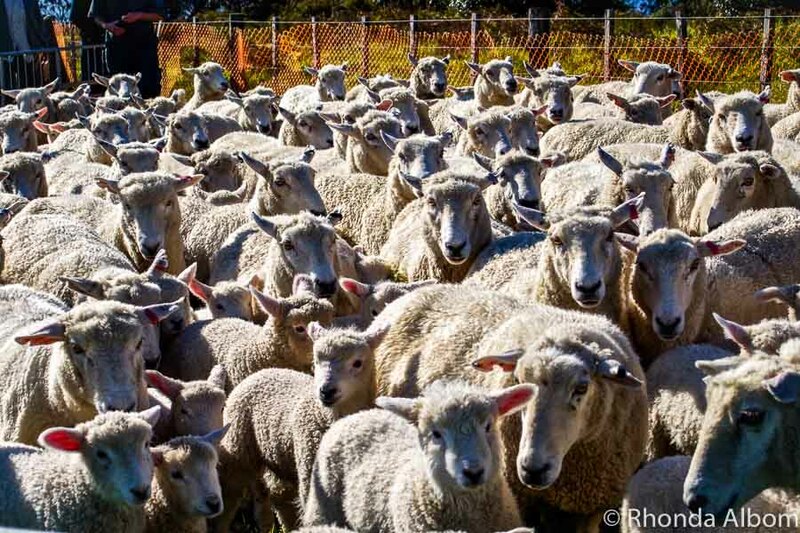 Previous Post: « Kiwi Slang: Funny New Zealand Phrases – Visitors Beware! its lovely art.i like the hut and the wall painting.these looks very colorful and attractive.the wall where a boy stand with the back looks original .nice blog you shared..the monster looks so pretty..
Hi Rhonda, I’m glad to see you found our website, watchthisspace.org.nz, useful. I started putting it together two years ago when I first came to Christchurch. We’re running guided tours now as well as a blog where we interview local artists. Let us know next time you’re in town! I’ve never been to Christchurch before but the street art looks so nice. I think art is a beautiful reflection of culture and it just be a super vibrant culture! I never considered graffiti and this kind of thing an art but murals in Christchurch seem to be really artsy! It’s a pretty amazing, so I hope I get to New Zealand one day to experience some of these. I certainly believe that the sculptures belong to Christchurch’s street art scene. What person would steal a bronze statue during the earthquake? That was quite shocking! Nevertheless, I really enjoyed the graffiti as well, especially the one with the little smurf. I’m always looking for secret or hidden messages in the street art! It’s such a pity that I missed out on Christchurch when I went to New Zealand. We had 2 weeks and were forced to cut down on several places. 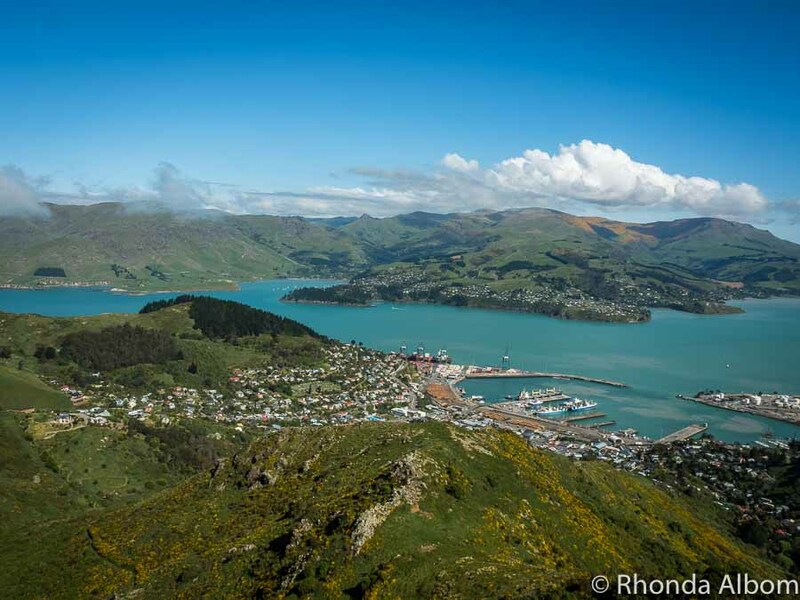 And since we both love the outdoors and nature more, we compromised with the larger cities like Christchurch and Wellington. I do love the street art here, your pictures are very cool. It definitely elevates the mood and vibe of the place. Cookie Monster was my absolute favorite Sesame Street character as a kid, and still has a special place in my heart. Naturally, the Cookie Monster mural made me smile. I also really like the Queen’s Corgis. I definitely need to seek out street art on Christchurch Street someday. These are all fantastic. Like many others, I love the cookie monster but I also love the one inspired by Maori stories. I haven’t been to Christchurch but I imagine that all of these pieces help Christchurch to heal. My kids would definitely love to track them all down. Absolutely stunning collection. Great street art is the sign of a vibrant city. I especially love the hand statue, corgis and the cookie monster. Reminds me of some muppet wall art I saw in Brooklyn once. Thank you for sharing on #TheWeeklyPostcard! I had no idea there had been so much damage!!! Still, that art is pretty incredible. My husbands always wanted to go to New Zealand so when we go this might be on the list to check out! 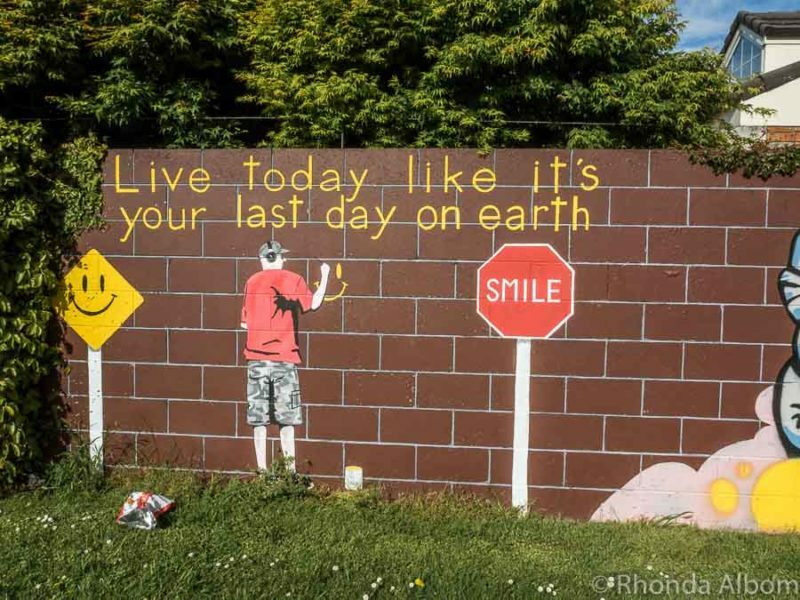 Rhonda, I went to Christchurch before the earthquake and I loved it, but I never noticed any street art. I love the second to last one, because we should all do that, right? Absolutely. Every day like our last. Wow, this open-air reading room looks like stuff dreams are made of. I also like Chalice – the steel sculpture – a beautiful way to celebrate the landmark year. Street art otherwise is becoming a norm is most cities it seems. Oh I loved the street art when I visited Christchurch, but it looks like it’s massively upped its game since 4 years ago. We live on the north island now so will definitely be taking a trip back. I love that atreet artists have taken on the task of revitalizing the city in the aftermath of the earthquake. They’ve done a really great job – there’s some incredible art and talent here! Cookie Monster always makes me smile too! 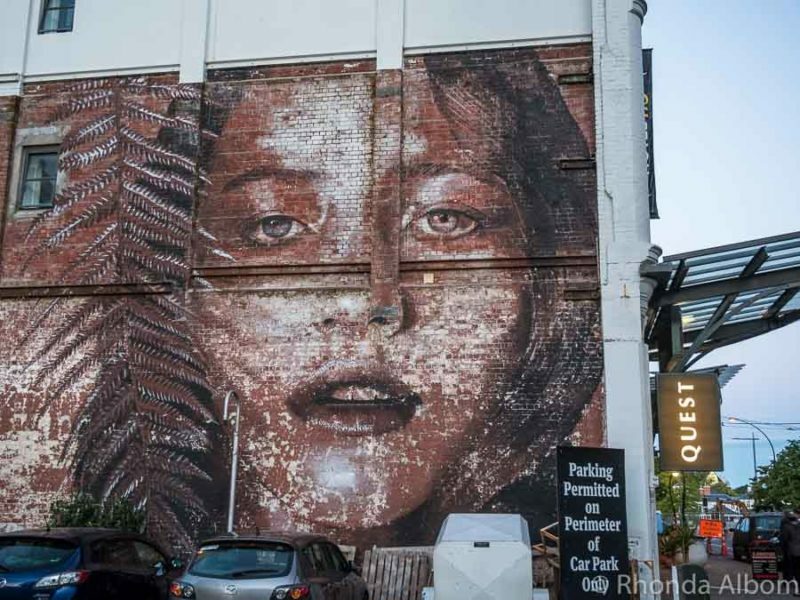 Though the unnamed work by Rone is particularly impressive. I think that’s my favorite. The public art is very cool too – I think this should be classified as street art – I know traditionally street art is usually thought of as “graffiti” art, and murals, but I think 3D sculptures and installations count too. It’s art on the street after all right! I love street art and there are some gems here! I find it interesting that around the world street art is playing an important part in urban regeneration.The corgis are such fun as well. This looks like a divine place to explore. 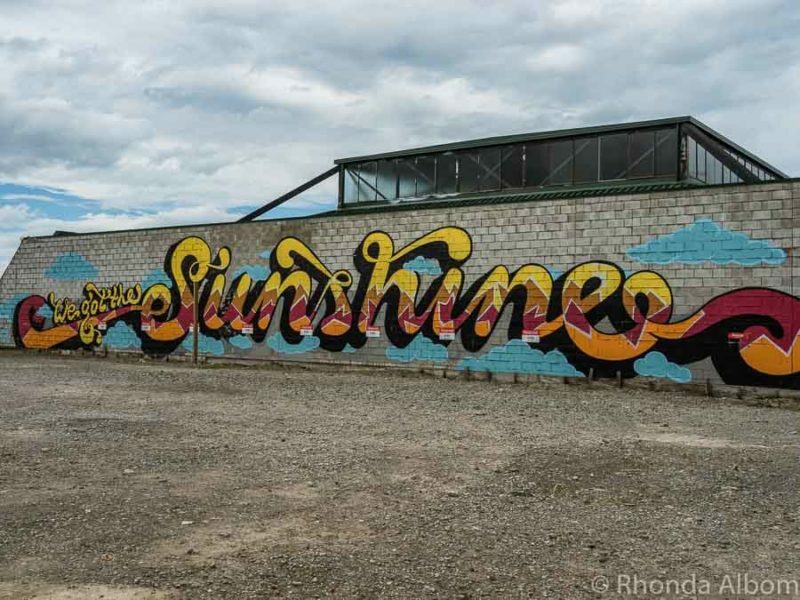 Great insight into Christchurch’s street art. Both the murals and the sculptures are so creative! 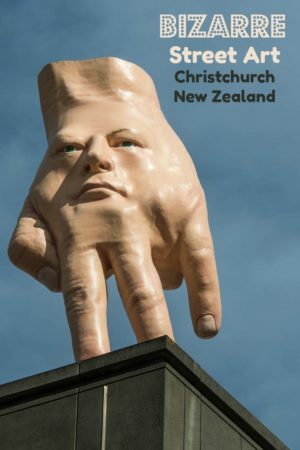 Sometimes I wonder how can people come up with such ideas, like incorporating a self portrait into a giant hand. I think the street art is a great way of revitalizing and brightening the rundown areas of the big cities. Recently, in my small town of La Crescenta, they started painting the electric boxes on the streets that looks hideous before. The project was the idea of some high school students (talented ones, for sure) who turned this boxes into real art works. Wow, so very cool. I am a big fan of street art. Thanks for sharing. I just love street art, we recently had a festival for it up here, some people are so clever. Sometimes street art and modern art can be so fascinating and actually quite difficult for me to interpret! But these are pretty awesome! Happy 2018! I too am a huge fan of street art, and I really was unaware that Christchurch had a scene. They were great, but I have to say that my fave is Cookie Monster. He suits the alleyway! I think that the sculptures for sure belong in this post, as they too are street art and even though they are not murals, it is still the artist’s objective to create something that blends in to the surroundings. Thanks Natasha. I think every New Zealand city we have visited has a collection of interesting street art. These are really cool! Love them!! I like street art everywhere, but I especially like it how it lifted up the spirits after such a sad period. It does brighten up the city for visitors, and I am sure it is very healing for those who live there. I didn’t notice the Smurf at first, but once I did, he is now what I see first. I loved the Queen’s Corgis too. I didn’t know they were there. They startled me a bit when I first saw them on the footpath. Public Art is wonderful in any situation, but especially in a city like Christchurch that has seen such destruction. A great talking point and beautification project whilst the slow rebuilding takes place. Very true, and it makes is much nicer to walk around the city. We moved to New Zealand 16 years ago and have never regretted it. Hi Rhonda. What amazing murals, some natural while others crazy. I like the crazy ones. The one the like the most is the one with the hand with a face, Unbelievable. See ya. I like them all. As for the hand, google the original artwork, it looks the same, only smaller. The fact that they are literally on the street was my basis for the question. 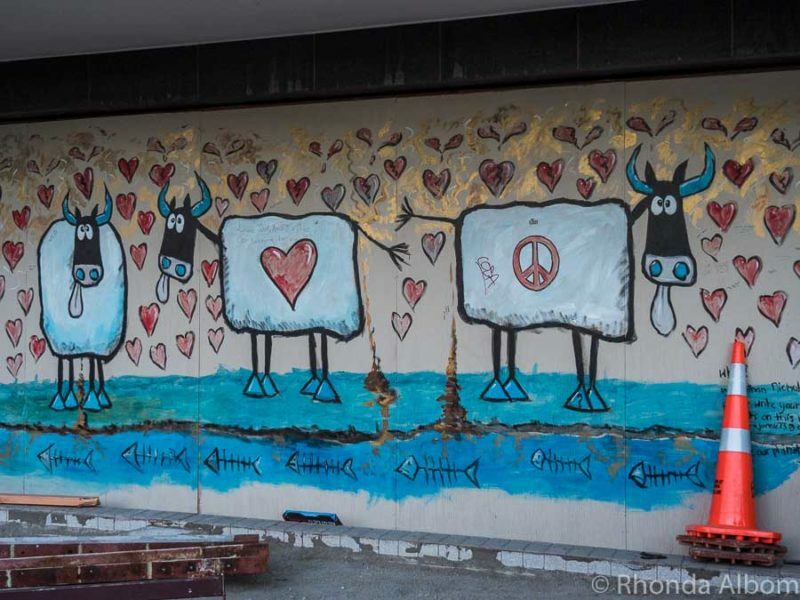 And as for commissioned and permission, I think much of the street art we see in New Zealand falls under both categories and is still street art. The more I travel, the more I appreciate street art. 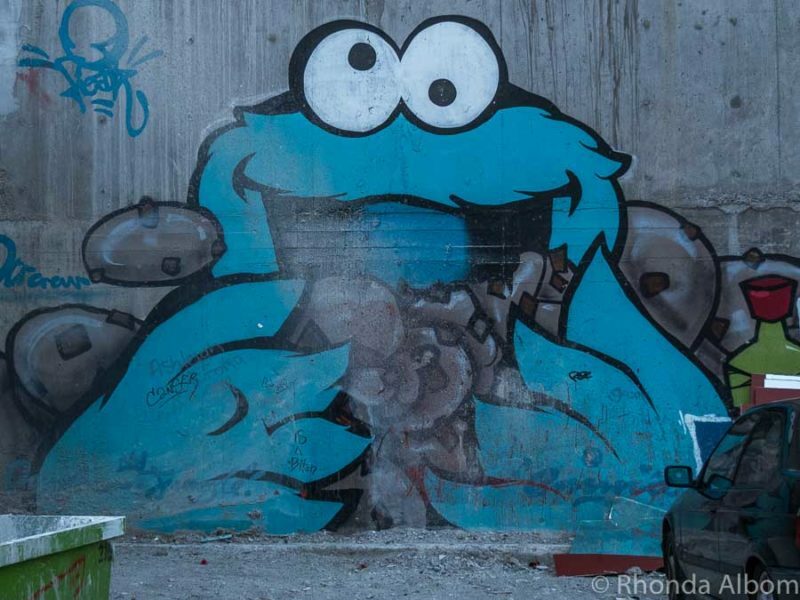 And while my tastes tend to run towards the unusual in art, I have to say that of the street art you found, I really like the cookie monster one. I don’t think it would usually appeal to me but it really made me smile. I think a giant cookie monster on the wall qualifies as unusual. I have taken street art and sculpture tours in both Auckland and Wellington. Loved them both. Mostly, we do self-guided tours. I am always impressed by Rone’s artwork. While some of the artwork is a little odd, most of it really adds to the surroundings. It reflects the personality of the country. I couldn’t agree more. The bright colours and interesting artwork everywhere you turn, really adds a positive personality to the city. Rone is so talented. We were just there, less than two months ago, so it should all still be there. I love Cookie Monster too. Big fan of street art and this list was amazing! So many talented people creating so many beautiful things! I agree, the street art in Chch is quite impressive. What amazing pieces. Wish more cities would embrace artistic expression in a city. Me too. I am a big fan of street art. The Glass Pavilion was really cool. And unique. I think it’s more decorative than art though. The hand is just a bit weird. Of the paintings, I like the one by Berst best. I was thinking the same, but it is pretty cool. I think the face is the weirdest part of the hand. What a fun adventure. I love the dogs the best. That made me smile. They made me smile too. The little one is in the back is licking up a fallen ice cream. You had me at Cookie Monster LOL. My niece loves him, so we watch him for hours when she stops by. Don’t worry she’s 18 months old 😉 But I was a fan as a kid too. As for the Green Reading Room, it is up my alley. I would love being able to sit and enjoy some down time there. Street art fascinates me, especially the quality of these pieces of work. I was a fan too, that’s how Cookie Monster made it to the front page for the article.